With Ash Wednesday on March 6th, we enter the liturgical Season of Lent. It is a time for repentance, reflection and reconciliation. On March 6th at 7 pm in the sanctuary, we offer an Ash Wednesday service including an homily by our Interim Pastor and the Imposition of Ashes and Holy Communion by Intinction. It is preceded by a simple homemade Soup and Bread supper at 6 pm in our Parish Hall Dining Room. Sunday services over the following six weeks will capture the mood of Lent, focusing on readings from the Hebrew Bible, Psalms and the Gospel of Luke. There will be Bible classes on the Wednesdays from March 13th-April 10th at 6 pm, again preceded by a simple Soup and Bread supper in our Parish Hall Dining Room. Our Maundy Thursday service on April 18th at 7 pm, we remember Jesus’ Last Supper with Holy Communion. We also recognize in darkness the office of the Tenebrae, which leads to Good Friday. On Good Friday, the day when Jesus Christ was crucified, we open our sanctuary from 12 noon to 3 pm for quiet reflection, prayer and meditation. On Holy Saturday there are plans for an Easter Egg Hunt for our youngsters—children and grandchildren. On Easter Sunday, April 21st at 10:30 am, we celebrate Jesus’ Resurrection with an Easter Festival including Holy Communion and joyful music by our Organist and Church Choir. 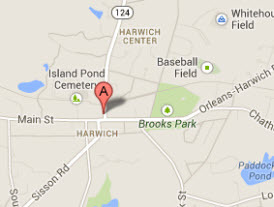 Everyone is welcome to join us at any or all of these services at the Congregational Church of Harwich! Worship services are offered at 10:30 am throughout the year, and in addition at 8:30 am from Memorial Day to Labor Day. Supervised Nursery Care is available in the Parish House. Children and Youth are invited to stay for our worship services. No matter who you are, or where you are on your life’s journey, you are welcome in this Congregation, where Jesus Christ is the head of the church. If you are interested in joining in covenant with us and becoming a member of our congregation making this your new spiritual home, please contact the Pastor or the church office at 508-432-1053. In keeping with the life and teaching of Christ Jesus, we joyfully and unconditionally welcome all people of any age, gender, race, culture or ability into our community of faith and affirm the worth of all people as unique individuals made in God’s image. We are open to the special gifts that each person brings and invite each one to participate in the life of our church.